Fire Medium dark skins or anyone with a pale skin wanting to appear tanned. Earth 3 Light skinned African American or dark Olive skins. Deep Water Very dark skinned African American. Water Very pale, If you are however extremely pale skinned let me know and we will add white. Earth Very pale yellow undertone or if you have a deeper skin tone and you would like to brighten it use a thin layer of this color blended well. 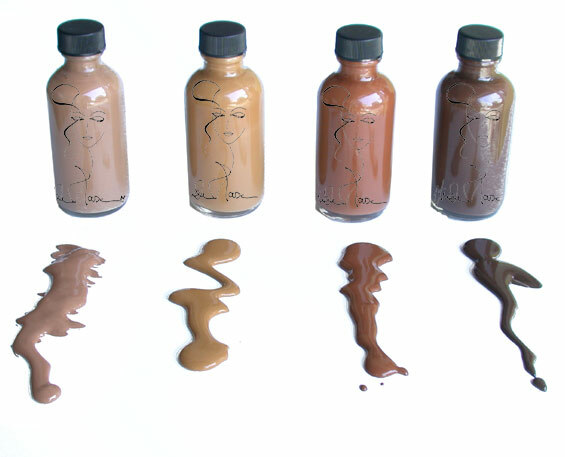 Air For fair to medium or any medium beige wishing to lighten slightly their skin . Earth 2 Yellow medium beige for light olive complexions, or for a pale skin wishing to add color. We custom blend at our store location "The Art of Beauty by Linda Mason"